•screenshots, video, or audio proof to back up your statement. 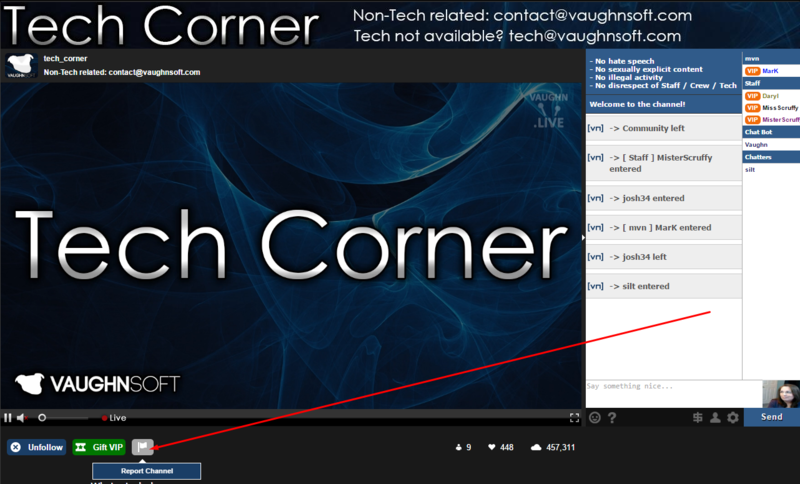 To Report the channel itself, click on the white flag located under the video. You must be signed in to use Report Flag. further communication concerning the outcome. 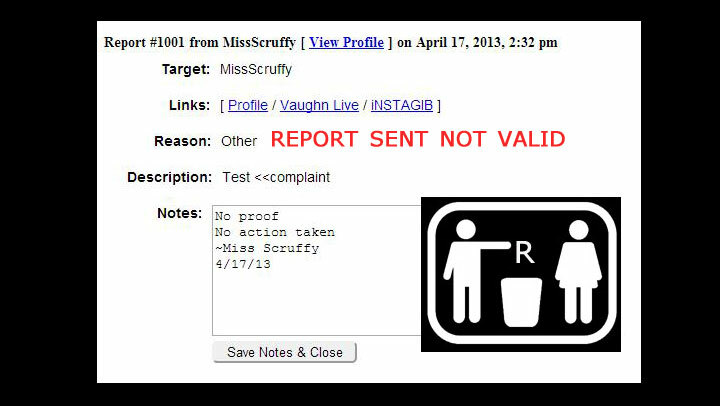 report is deemed invalid and discarded. 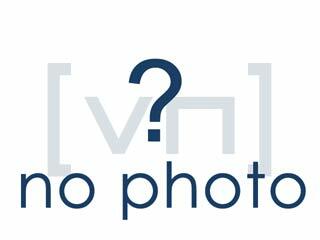 Q: Who has access to the Reports? Q: I did not receive an email notification of my report. Why? A: Be sure to check your Spam or Trash folder. different site or service. 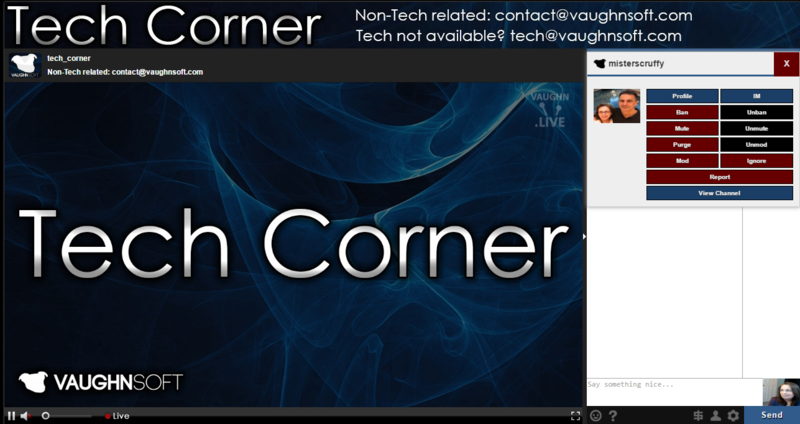 Why is that person still on Vaughn Live? Q: I do not like <insert name>. Why have you not banned them? issue that the parties involved need to handle. Q: Can I copy/paste the chat log into the Report? A: Sorry, no. You must provide valid proof such as screenshots, video/audio. Q: I sent a report that has no proof. I just copy/pasted the chat log. Q: I do not want to sign in to use Report button or Flag. A: You can sign into your own channel and Report the Vaughn Bot. 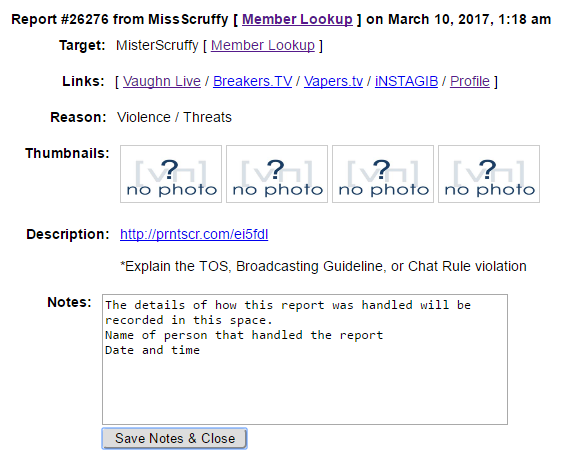 Chat Rules that will be accepted through the Report button? inappropriate profile image just to name a few. Q: What are things that are not accepted through the Report button? 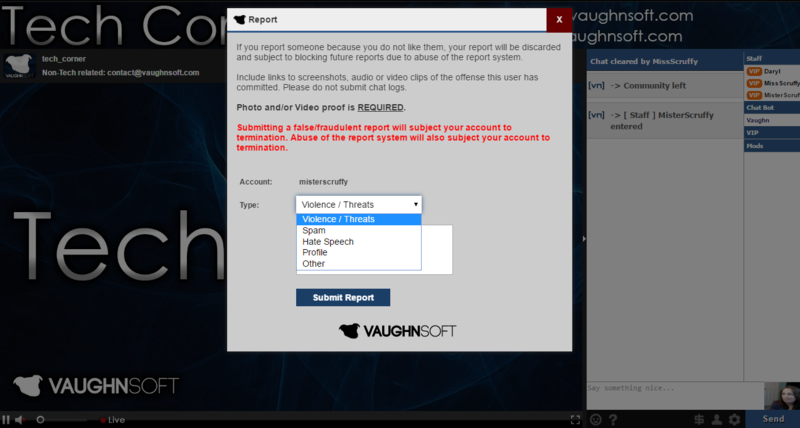 Q: Spamming the Report button. abuse of the report system. 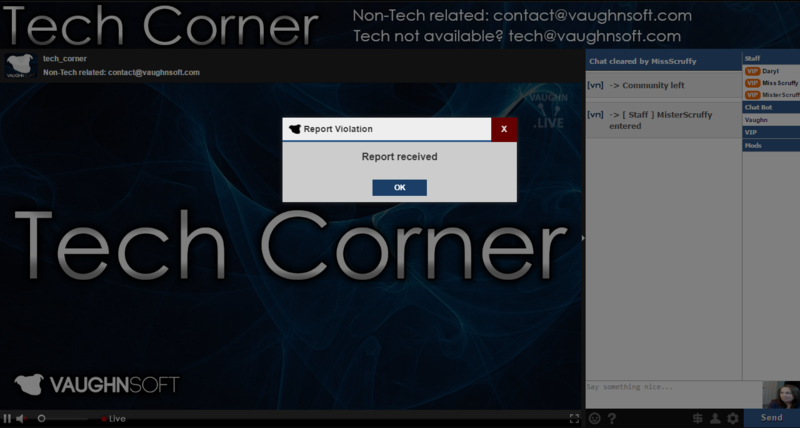 Q: I sent a report, but no action has been taken. Why? there is a site violation. 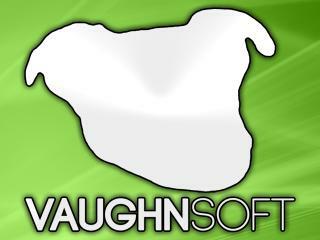 Please remember, it must be a VaughnSoft TOS, Broadcasting Guidelines, or Chat Rules.